milling. Improve your rearm with a SPR sight set! • Micrometric adjustment for windage and elevation provided by hardened click screws. • Tapered dovetail for a strong locking in the existing groove. • Allen wrench and adjustment screwdriver included in the package. SPR Series There are 17 products. 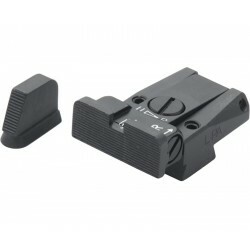 LPA sight set for Beretta 92, 96, 98, M9A1. 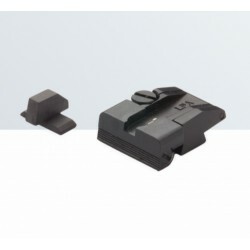 LPA sight set for Beretta PX4 all models. 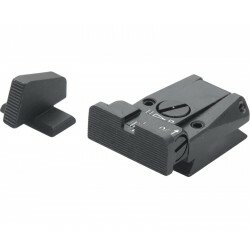 LPA sight set for Beretta Stock and Brigadier with dovetail front sight. LPA sight set for Browning HP Vig., HP MKIII, HP Pract., HP40 with dovetail front sight. LPA sight set for Browning HP Vigilant. 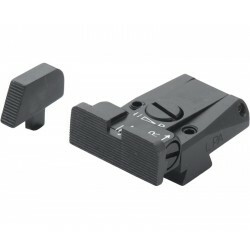 LPA sight set for Colt Gov't 1911-A1. 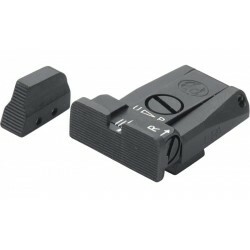 LPA sight set for Colt series 80. 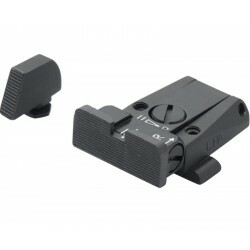 LPA sight set for CZ 75 (Old model). LPA sight set for CZ 75/75B/85, P07 Duty (For models with dovetail front sights). 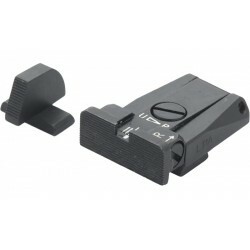 LPA sight set for Glock 17, 19, 20, 21, 22, 23, 25, 26, 27, 28, 29, 30, 31, 32 , 34. LPA sight set for H&K P7.